- How much will the open time be altered by the retarder? Usual increase in open time is 50-100% depending on the percentage of retarded added to the paint. - How much retarder can I add to the paint? You can add between 10-30% of retarder which will also improve flow of your paint and reduce brush marks. Use maximum 1 drop of retarder per 2 drops of paint (30%). - Paint is drying too slow I want to paint another layer! Use hair drier to speed up the process. Just remember to keep up a distance of 20-30 cm and use low setting. -Is the retarder compatible with my paint? 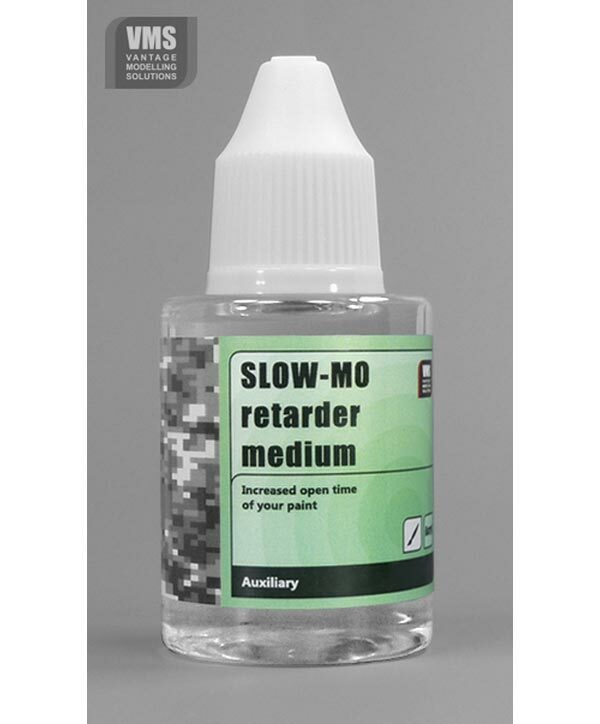 Slow-Mo retarders can be used with any leading brand of water-based acrylic paint. All that matters is that it's a water-based paint type. 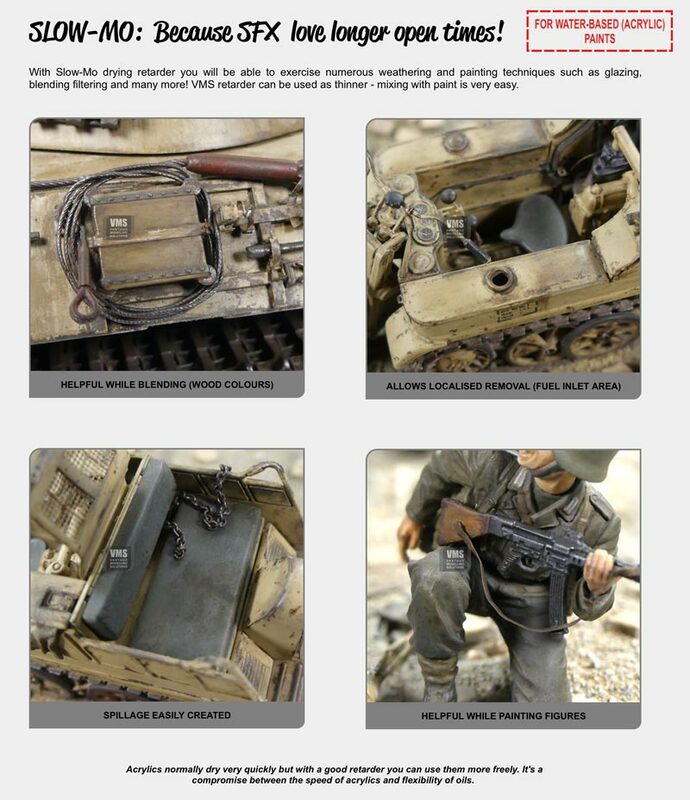 The product is compatible with acrylics by Vallejo®, Humbrol®, Tamiya®, Revell®, Model Master®, Italeri® Gunze® (only H series), Pactra® and equivalents. Not suited for solvent-based acrylics (Gunze® C series)! - Can I use this product as an airbrush extender so as to mitigate tip drying? Yes, you can add some retarder along your usual paint thinner to slow drying time and make airbrushing more comfortable.